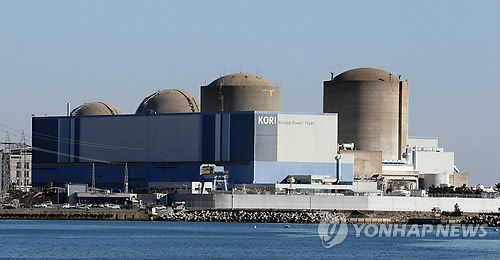 The Kori Nuclear Power Complex is slated to house ten reactors in a highly populated area in South East Korea, close to the country's second city Busan (3.6 million) and the important industrial city of Ulsan. Five reactors are operational, while three are still under construction. Gori plant 1 opened 1977 with 30 year life-span, extended 10 years in 2007. The plant has been constructed under the first phase of South Korea's nuclear power program, in which foreign firms were contracted for the provision and construction of reactors, with Korean firms playing a minimal role in order to acquire technological know-how. The primary goal of this first phase was for South Korean industries to gain the knowledge and expertise to manufacture the equipment and components for nuclear power plants. During this period, foreign capital was the primary source of financing nuclear power plant construction, so South Korea required potential contractors to provide financing sources with their bids . The Korea Electric Power Corporation was the primary project manager for the construction of Gori-1, but foreign firms providing the equipment design and construction services were granted de facto project responsibility (U.S. firm Westinghouse Electric Corporation, General Electric Company (GEC), Gilbert/Commonwealth, Hyundai Engineering and Construction and Dong-A Construction Industrial Corporation) . The other plants were contructed later, in the second phase of South Korea's nuclear power program called "the component approach , where foreign firms were contracted for the design and provision of main components, while domestic firms were subcontracted for auxiliary components. In 1995, a project to replace old components was launched that included the replacement of two steam generators and plant auxiliary systems. The Gori-1 plant was originally scheduled to be decommissioned in 2008 when its license expired, but after a six-month outage in 2007 for upgrades and inspections, Korea Hydro and Nuclear Power Corporation (KHNP) was able to negotiate an extension of the original 30-year operating lifetime for ten additional years to 2017 . The South Korea nuclear plans encountered opposition and protests, which were primarly focused on the extension of this old plant by 10 years, safety issues being underlined. Safety issues emerged 2011 & 2012. Sensitivity to the nuclear energy issue in Korea reemerged following the Fukushima accident in Japan 2011. Protests call for immediate closure. On June 9, 2013 four international activists of Greenpeace set up an aerial camp on a 90-meter tower of the Gwangan Bridge in the port city, calling for a widening of the Emergency Planning Zones (EPZ) around nuclear power plants across the country. Greenpeace demands that the radius should be widened to at least 30 kilometers to minimize potential damage  UPDATE, June 2017. South Korea will shut down its oldest nuclear power reactor next week as the newly launched liberal Moon Jae-in administration has pledged to close aged nuclear reactors and coal-fired power plants. The closure of the Gori-1 nuclear power plant in the southeastern port city of Busan on Monday, is welcomed by environmental groups. Moon has pledged to permanently close 10 aged coal power plants during his single five-year term. The chief executive was sworn into office on May 10. It will take up to 15 years for the dismantlement of the Gori-1 plant which began commercial operation in 1978. Its 30-year lifespan expired in 2007 but was extended by an additional 10 years. Moon's election campaign also includes scrapping the ongoing projects for the construction of six new nuclear power plants and the shutdown of nuclear plants including the Wolsong No. 1 Reactor whose lifespan has been extended to 2022 after its initial 30-year cycle ended in 2012. South Korea has 22 nuclear reactors in operation, generating about 30 percent of the country's total power supply. Several nuclear plants have already reached initial operation cycle, including Gori-2, Gori-3, Gori-4, Wolseong-1, Hanbit-1 and Hanbit-2. Two others, the Hanul-1 and Hanul-2 nuclear power plants, have only one to two years left before they can be retired. The U.S. firm Westinghouse Electric Corporation constructed Kori-1 and provided the reactor, General Electric Company (GEC) provided the steam generator and turbine generators, and Gilbert/Commonwealth provided architectural engineering services. Hyundai Engineering and Construction and Dong-A Construction Industrial Corporation played minor roles as subcontractors providing civil works and equipment installation services. Environmental justice organisations and other supporters Korean Federation for Environmental Movement (KFEM)- affiliated to Friends of the Earth, Hansalim producers and consumers cooperative. Catholic associations. 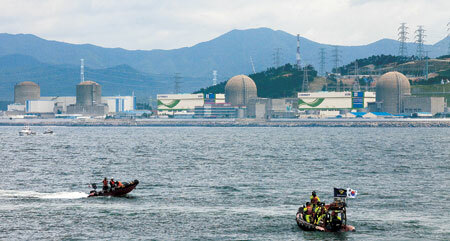 Other Gori Nuclear plant near Busan, Koreass second city and also close to the city of Ulsan. In the case of a major accident the worst-case scenario simulation published in the press talks of up to 900 000 deaths. This is challenged. Why? Explain briefly. This is ongoing and difficult to access final outcome. However, while under the former government of President Lee, nuclear power was supported in the framework of reducing carbon emissions. Since Fukushima, public opinion has turned against nuclear energy. By 2017, the new president has turned against nuclear power.